Seek professional advice before attempting to turn it on again! With slim hopes of success, I set out to see if the laptop was salvagable. 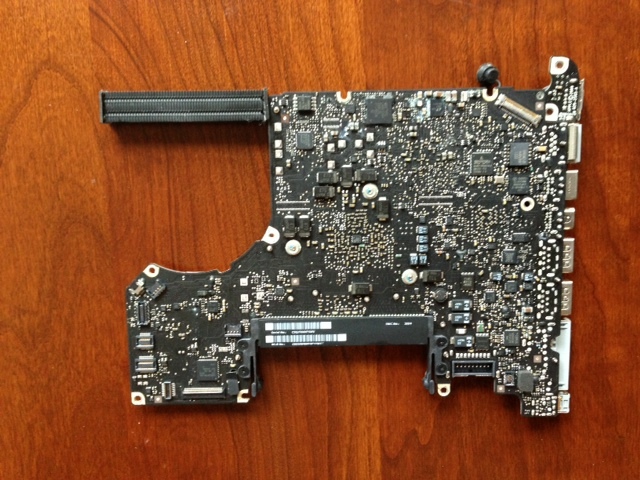 As usual, iFixit had excellent teardown instructions. Typical of Apple products, taking the MacBook apart was a lengthy, tedious experience. I got the case open and shook out enough rice to make a batch of paella. 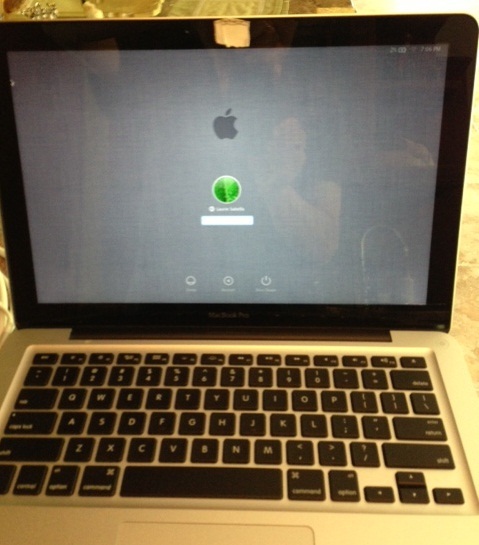 It seemed that the water had migrated directly to the bottom of the laptop where the logic board is. So the worst case scenario looked like a new logic board, which would run around $650 unless we could find a better deal on a used part. One hour and a couple dozen screws later the logic board was out. 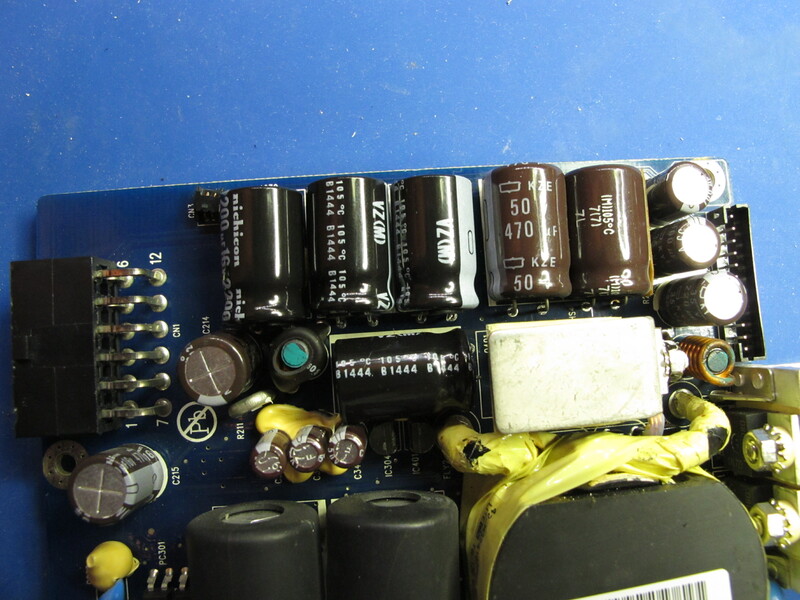 As far as I could tell there were no burned components on the board, so perhaps the apparent short was correctable. However, there was white corrosion/residue present in several places. 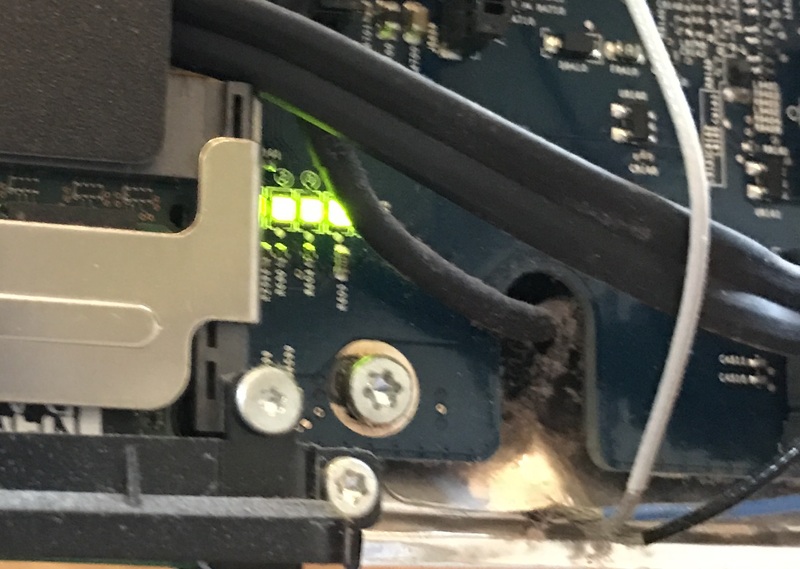 I managed to clean the board up with a new medium-bristle toothbrush, working carefully to apply just enough pressure to dislodge the corrosion but not enough to pop off any of the surface mount components. I reinstalled the cleaned up board, reassembled the laptop and crossed my fingers. Voila! It’s alive! One happy Mac and one happy friend. 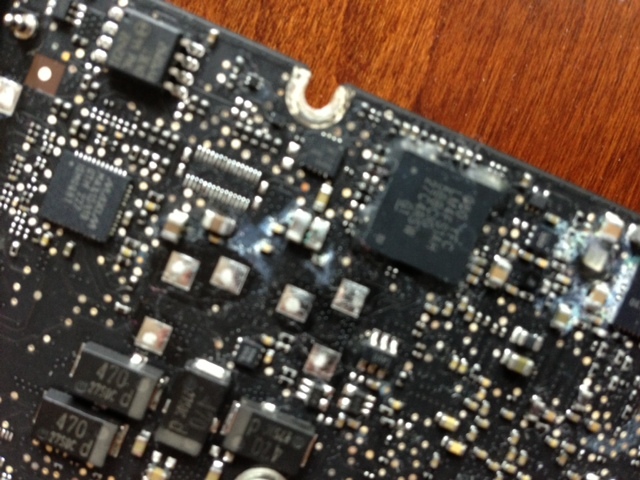 This entry was posted in Apple, Repairs and tagged MacBook Pro, Repairs, Teardown on July 17, 2013 by ratranch.